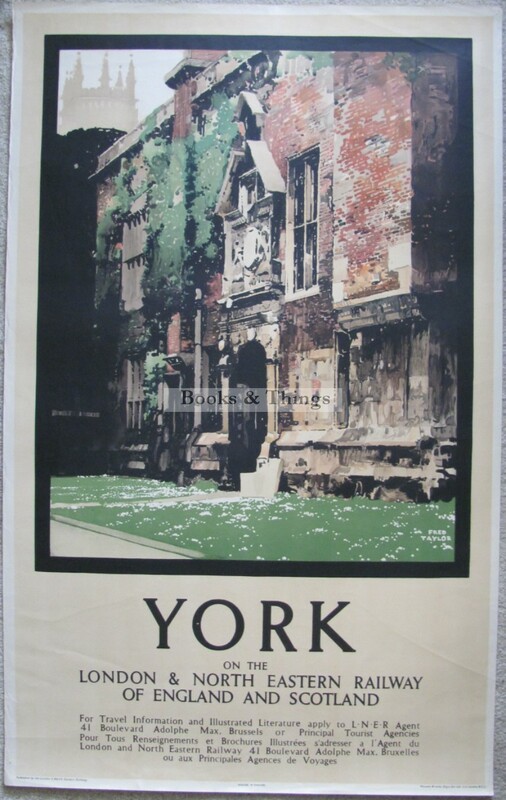 Fred Taylor: York, Kings Manor House poster. 1931. 101 x 63cms (40 x 25 inches). Unusual in that it is obviously for posting in Belgium. Creases. Category: Travel Posters. Tags: Fred Taylor poster, Fred Taylor poster for sale, LNER poster, York poster.